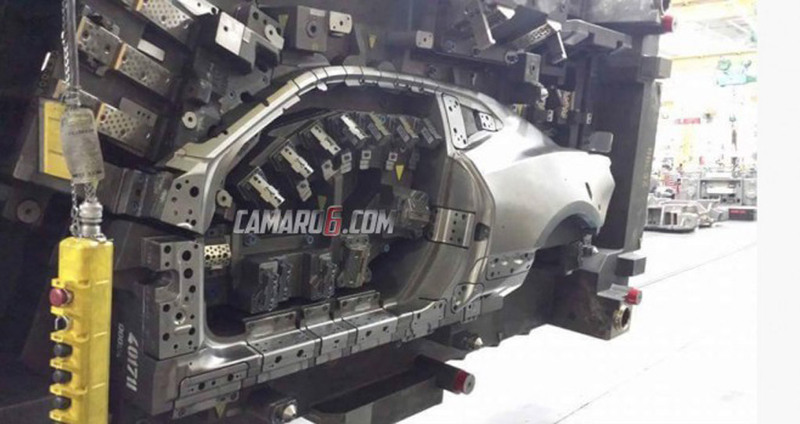 Thanks to the good folks at Camaro6.com this past week, we have the first picture of a 2016 Camaro body shell being tested. This is also an indication of where the new Camaro is in the countdown to production. Camaro6.com is the authority on all things concerning the 6th-generation Camaro. They have spy pictures and video, sound clips, news, sightings, and GM statements. Between these images and the continuing flow of spy pictures, it’s clear that the new Camaro, while moving to GM’s Alpha platform, is from a styling standpoint an evolution of the current form. That’s both good and bad in our opinion. First and foremost, the car is immediately recognizable as a Camaro. It couldn’t be mistaken for anything else. For GM, this means that the radical concept-car derived styling of the current Camaro, which has proven to be so popular and generated unprecedented sales (and taken the “pony car” sales crown away from the Mustang – which had held it for almost its entire life), will continue to attract buyers. 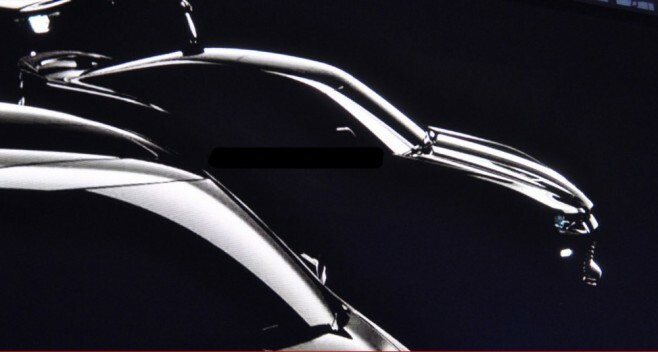 The ultra-low roofline, taken directly from the concept car, also continues and visually adds length to the car. The bad news is that the windows are even smaller on this new Camaro, and the rear side window goes from less-than-useful to useless. This is going to be an even more difficult car to see out of. We’ve noticed that this is particularly a problem in HPDE events, where inexperienced drivers who are already in an unfamiliar environment at an unfamiliar speed will be even less aware of their surroundings. We’ve seen this personally at multiple events, although very few Camaro drivers participate in HPDE events. You just don’t see many, if any, due to their overall size and bulk and – we believe – this visibility problem. But as a drivers car, the current Camaro is extremely competent and the next one will be even more so with the move to the new Alpha platform. 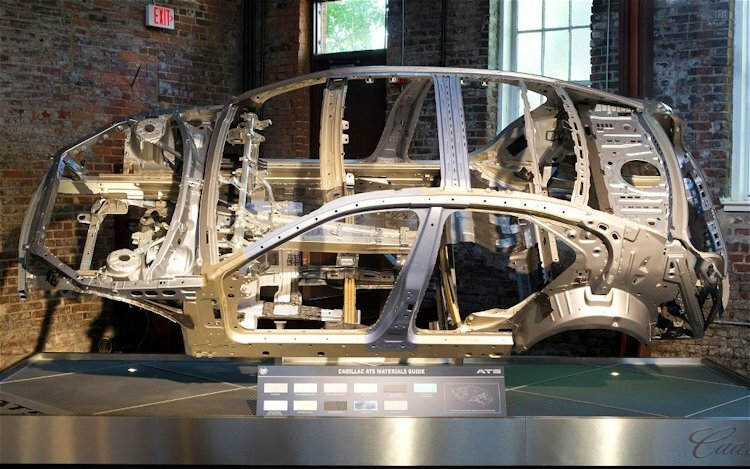 Readers are already familiar with this platform as the basis of the Cadillac ATS and CTS, where it’s recognized for structural integrity and industry-leading light weight. Here are two images of the ATS shell: note how excess metal has been taken out with numerous stampings. Clearly every excess ounce has been analyzed, justified, and any excess removed. The use of the Alpha platform for the Camaro tells us that the Camaro will be as light as possible: and this is a very good thing considering the extra-heavy weight of the current car. Of course it’s too early to speculate what the base weight of the new Camaro will be. It’s cousin, the 2-door ATS, weighs as little as 3400 pounds in 4-cylinder form. And that’s in a relatively loaded Cadillac, with Cadillac-required sound deadening and comfort. It’s entirely likely that the new Camaro will weigh less than the 2015 Mustang. But this line of thought is purely speculation at this early point, and we’ve already seen the 2015 Mustang exceed it’s target weights considerably, and even more so when the majority of Mustangs are loaded up with heavy options. And there is an even more important advantage to sharing a platform with the ATS and CTS: component sharing and cost savings. The engineering for the platform is already done: it was engineered for a range of engines ranging from a 2-liter 4 cylinder, the existing 3.6 liter V-6, all the way thru a twin-turbo V-6 (note videos of engines being torture-tested) and the 6.2 liter supercharged V-8 from the CTS-V. And transmissions ranging from 6- and 7-speed manuals thru 6-, 8- and 10-speed automatics. GM might not offer every one of these engines at the start, but the engineering is complete and any of them can easily be offered at any time. And component sharing also includes components such as magnetoreological shocks. All the parts are already engineered and paid for; only Camaro-specific tuning is required. And the Camaro will use the same assembly line in Lansing, MI as the ATS to further reduce costs. This is how a manufacturer can extend premium components to a low-cost product line, components that wouldn’t have been able to be offered otherwise, or would have been offered at high cost. Camaro owners are going to benefit enormously from the use of the Alpha platform. A new Camaro has been a long time coming… a concept for the current car was first introduced to the public in January 2006, it was driven publicly for the first time that summer, and Jay Leno first drove it in the summer of 2006. 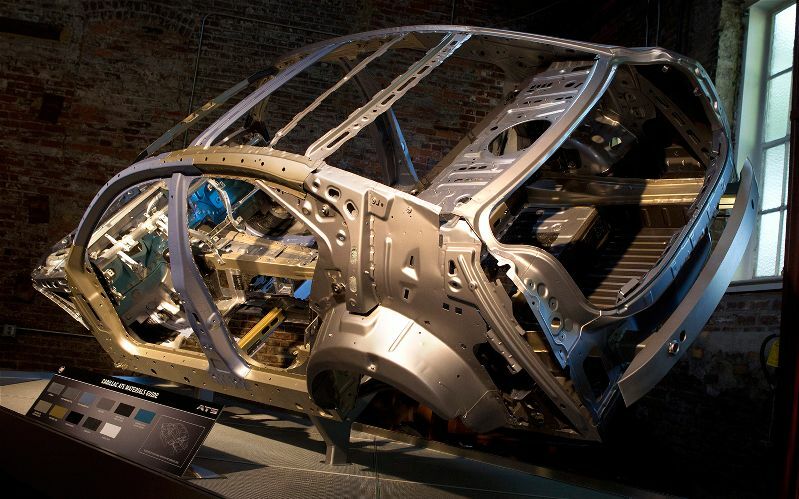 From that point, it took 3 years until production began in the summer of 2009 for the 2010 model year. Nonetheless, the current Camaro is a 10-year-old design and a new Camaro has been much-needed. Even the latest Z/28 model can’t hide the fact that the car is large, bulky, heavy, and has poor fuel economy.